I’m posting about Manzan after a long absence. 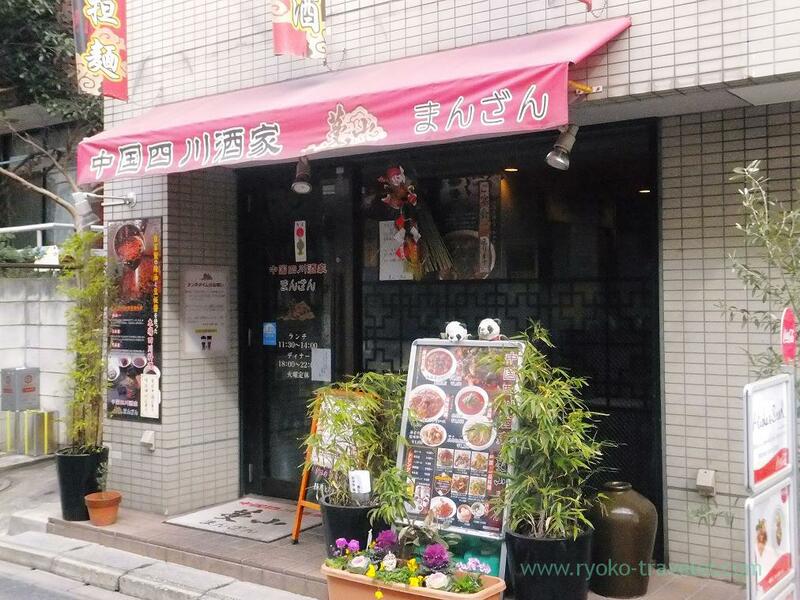 Manzan is located in Makuhari area of Chiba and it is very popular Sichuan foods restaurant. They were crowded as usual. As soon as entering the restaurant, we were wrapped with smell of Sichuan pepper. 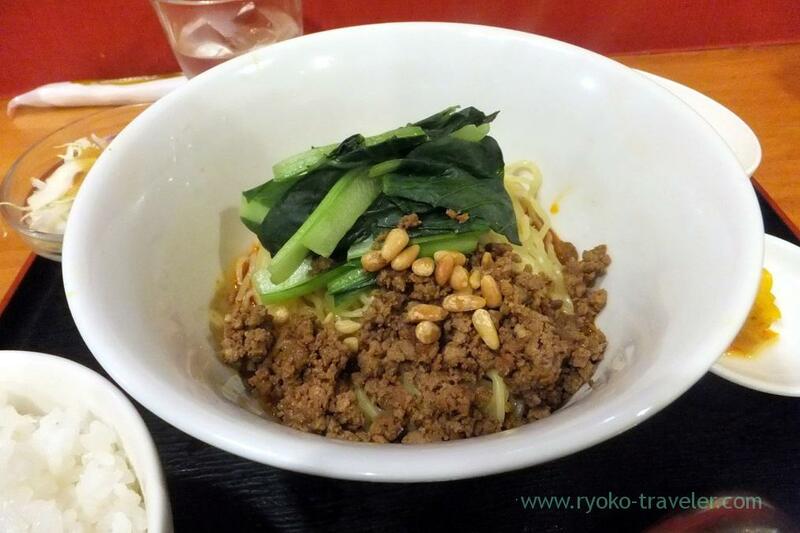 I ordered delight Sichuan-style dandan noodles (成都担担麺, 1000 yen) as usual. 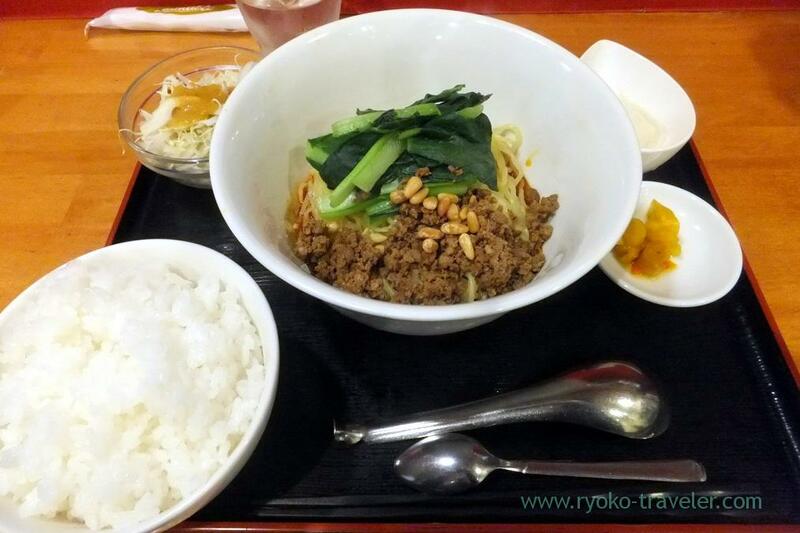 Minced meat, nuts and leaf vegetables. And Sichuan pepper. Mixed altogether well. It had much Sichuan pepper 🙂 I put the sauce under the noodle onto the rice. Speaking of dandan noodles, I love Aun, too. But their dandan noodles don’t have rice and almond jelly. 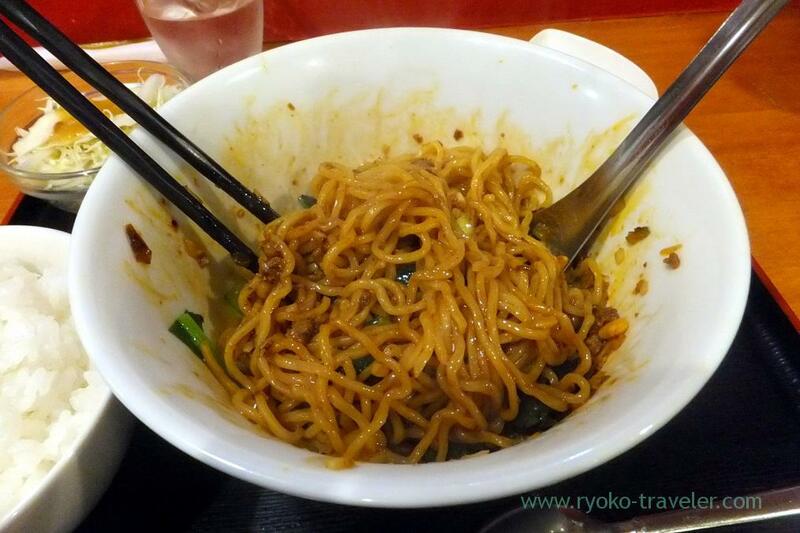 Just dandan noodles.